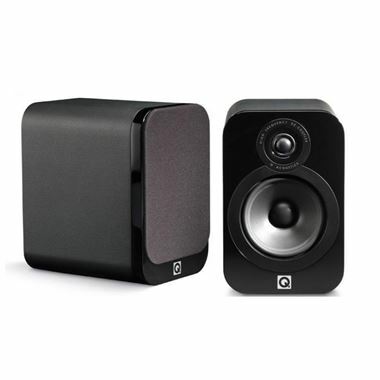 Q Acoustics Q3010 Bookshelf Speakers in Luxury Gloss Black, Gloss White or Black Leather - This 'Ultra Compact' bookshelf speaker sets new standards for sonic performance in its class. It’s all new. New 3000 Series, '2 in 1' Concentric Ring Dome tweeter, new Aramid Fibre/Paper cones for the 100mm bass unit, uprated 'audiophile' crossover components and stronger, lower resonance cabinet.